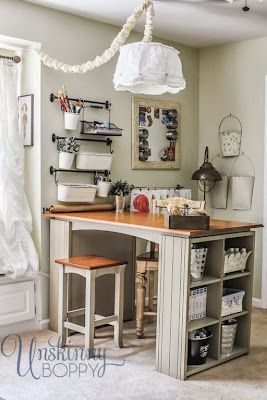 Beth from an Unskinny Boppy shared her updated craft room. It is to die for. Click here for the direct link for the full post. Over at my personal blog. 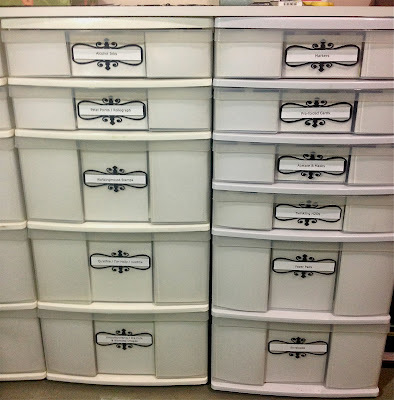 Jennifer Mcguire Ink Storage and giveaway! 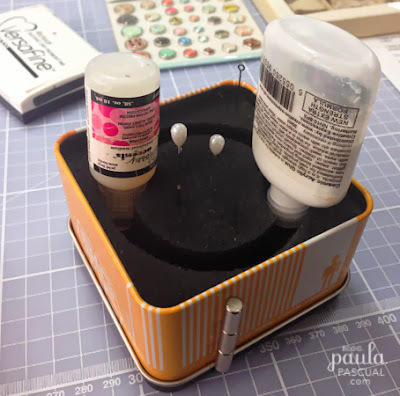 As usual, Jennifer has great ideas on how to store her craft stash. This time is the ink pads. And Jennifer is running a giveaway too on her blog here. We all like a bit of pretty crafty storage, but sometimes we have to make it ourselfs. 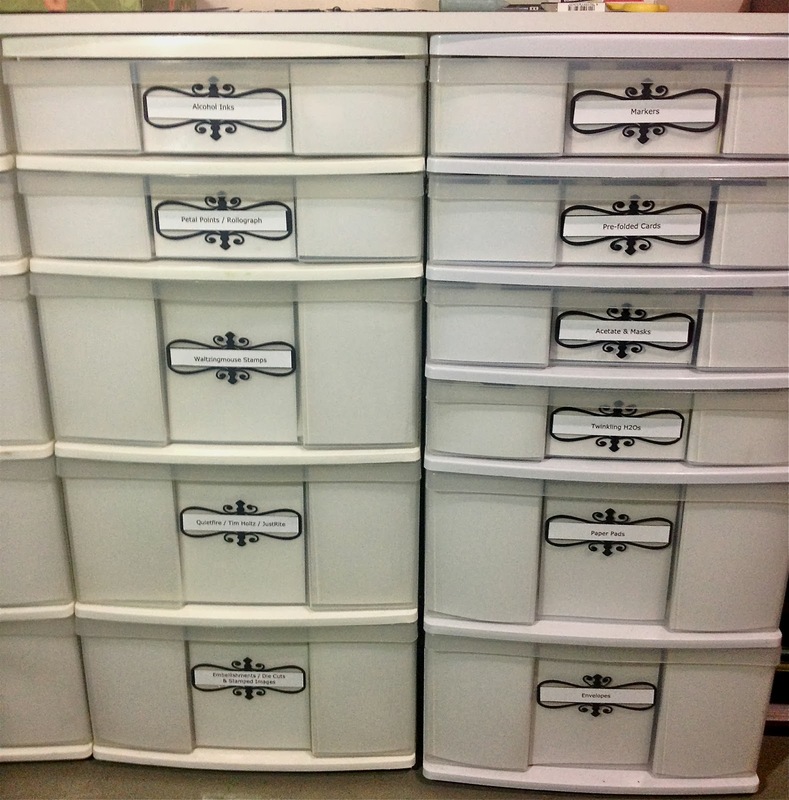 Charmaine shares on her blog here the process to turn her plain drawers into something more pretty. 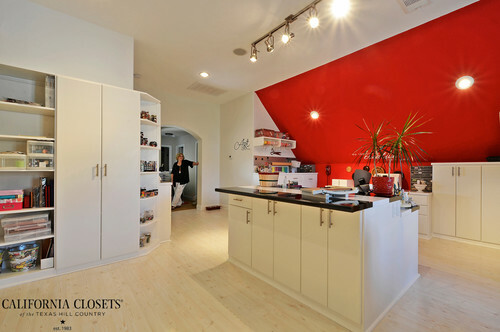 You can see more on the Houzz website. Unfortunately I do not have a window but I made up for it with bright wallpaper on one wall and keeping all furnishings nice and light. 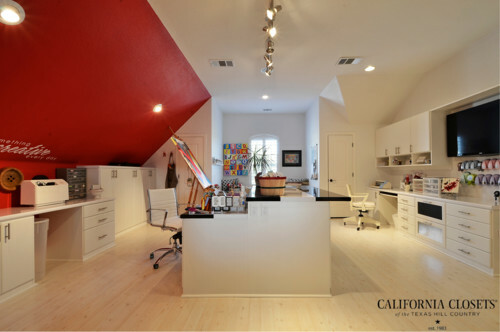 So fear not, no matter how small or dark your space is you can always make it look better. You can read more about Christine on her blog here and here.